If years of going to the Tilehurst Royal British Legion on a Sunday with my Grandad who ran the pick-a-key competition taught me anything as a kid, then it’s that you can have all the keys, but if you don’t have the one that opens the box then you don’t get the prize. 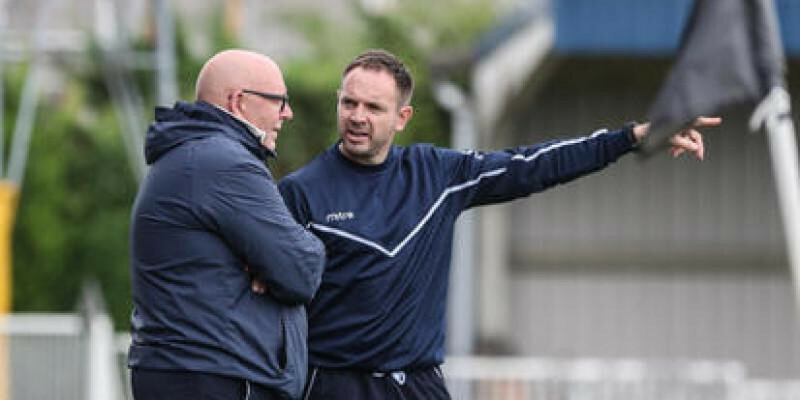 Supermarine had all the keys on Saturday at home versus Hendon but over 90 minutes, they couldn’t find the one that opened the box of the Hendon goal. Hendon had their right key very early on as Howard Hall made a great run down the right flank to cross for Gianni Critchlow who got across his marker to steer his volley across Hill and against the far post before the ball nestled inside of the net on the opposite side of the goal. That would be about all Josh Hill had to do in the Supermarine net. Pick it out after six minutes. ‘Marine had a few early chances but failed to test Hill’s opposite number as Joe Shepherd shot and headed over before Dave Bampton fired wide from distance in the first quarter of an hour. Critchlow then went very close again, as he wriggled free on the left hand side, before curling a dangerous looking shot, that dipped just over Hill’s bar. After just over half an hour Ryan Campbell could have equalised, but when positioned well at the far post, he hit a volley over the bar. Campbell went close again shortly after the break when he played a neat one-two with Stuart Fleetwood but could only stab his effort wide of the far post with his left foot. Campbell combined well with Michael Hopkins down the left and Hopkins’ cross went right into the corridor of uncertainty only to see both Fleetwood and Conor McDonagh fail to make contact when a touch for either would almost certainly resulted in a goal. Just after the hour mark, McDonagh curled an effort low towards goal, only to see on loan keeper Danny Boness make an excellent low save to turn it round the post for a corner. From that corner, Lee Spalding’s men should have tied the game up. Hopkins swung over his flag kick which McDonagh headed goalward and almost on the goal line Shepherd somehow deflected the ball over the bar. McDonagh went close again when he curled wide with 17 minutes to play and at this point, the home side had set up base camp in the Green’s half constantly pressing and working the ball across and inside the area with a couple more crosses going in with nobody able to make a telling touch in front of goal. As the game entered the last ten minutes, Shepherd again failed to hit the target when he stabbed an effort wide after some fantastic trickery from substitute Josh Parsons who somehow worked his way from the right touchline, into the box and across the touchline before he squared to Shepherd. A minute later, Fleetwood then headed wide when well placed in the middle of the area. Shepherd was off target again as he volleyed wide from a McDonagh cross as it really looked like it wouldn’t be the home sides day. That was only emphasised further with four minutes to play when Shepherd saw his effort cleared off the line from Hopkins’ corner. It would be the final chance of the game and if it wasn’t clear already, the difference between the Southern League Division 1 West and Southern League Premier Division South is that you can lose to a team who convert their only real chance if you don’t take your own chances.